I've had a number of PMs over the festive period regarding the OTP-PHX fare, and how to maximise the TP yield from this fare. I thought it would be wise to lay out the information here (and following on from KARFA's excellent post upthread) should anyone else be looking towards their own requalification for BA Gold in 2018. The total maximum TPs you can squeeze out of this fare is 1,040 for approximately £1,540 - or a respectable (£1.48 per TP). There are a host of other options/routings/flights/dates that you can play with, should something else fit your needs better than my suggestions above. 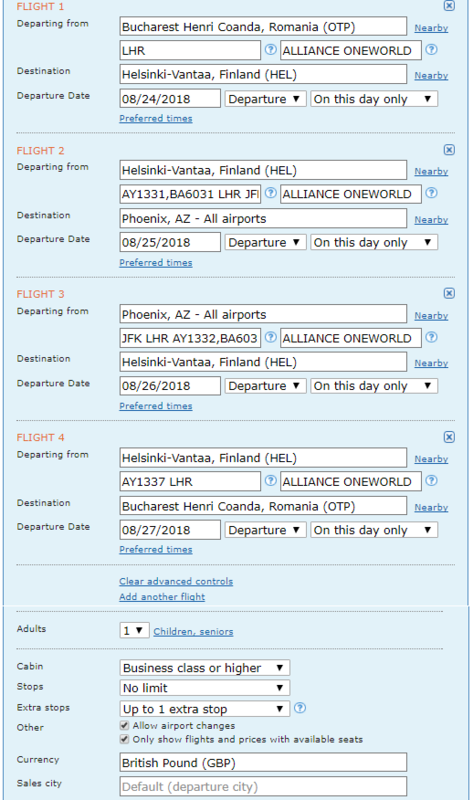 Booking is best to use Powertools to click-through to AA.com (plenty of information in post 4 of this thread), or you can use www.bookwithmatrix.com, but I only have limited success with an itinerary as complicated as this. 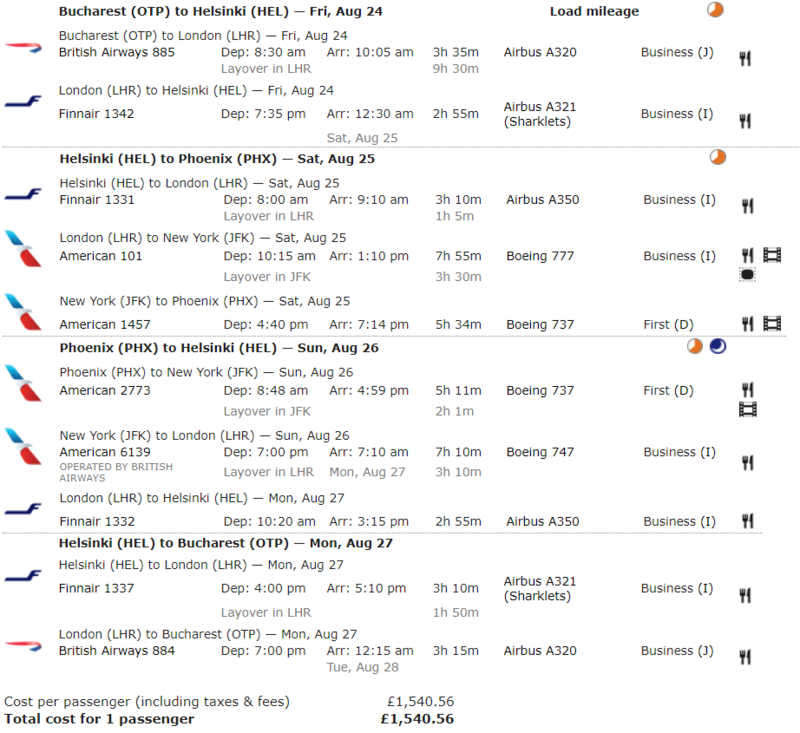 You can book with BA on a 125- ticket should you wish, but AA are just so much more flexible/accessible when it comes to the inevitable schedule changes.